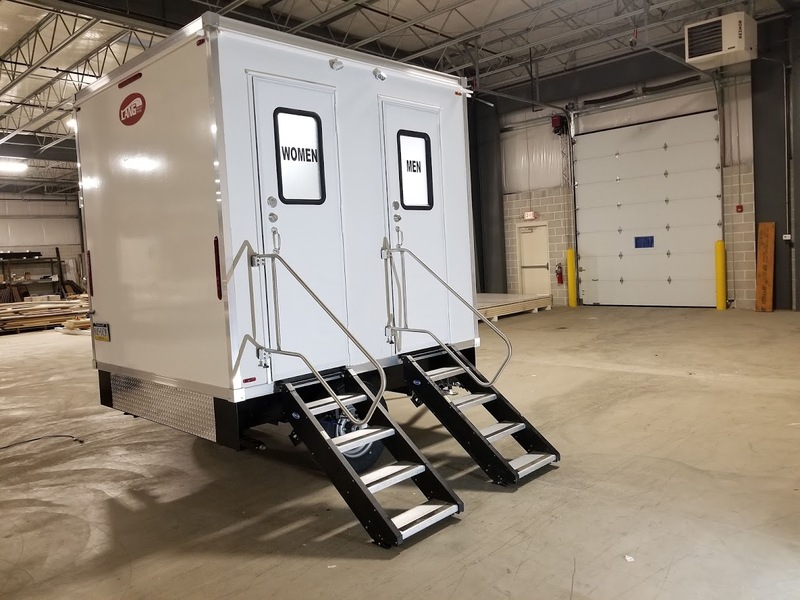 The ECO series restroom trailers were designed to provide a more affordable restroom trailer option for first time restroom trailer buyers and seasoned veterans alike. Even though this trailer comes at a lower price it is made with the same quality materials and craftsmanship that our customers have grown accustomed to in our PRO series trailers. The ECO series clean yet simple design allows it to be dressed up or down so that it can be used in applications from weddings to construction jobs. 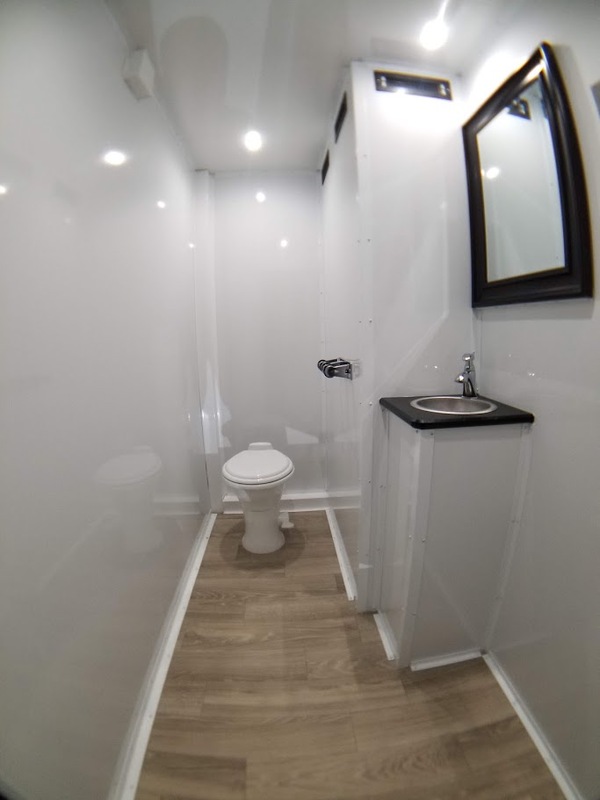 Just like our PRO series line the ECO series trailers feature a steel frame and gel coated fiberglass on the interior and exterior walls, subfloor, ceiling, and roof. 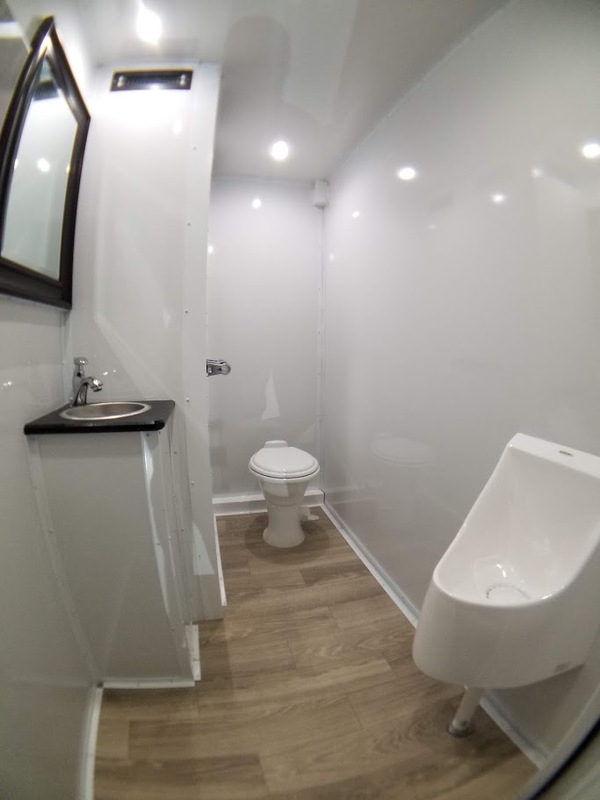 The gel coated fiberglass is an extremely durable product that stands up well to the abuse restroom trailers can see on rentals. Another great feature of the gel coated interior and exterior walls is they are fast and easy to clean. The hard, slick surface of the gel coat repels dirt and can easily be cleaned with a rag and household cleaner. Set up of the ECO series trailer is fast and simple. 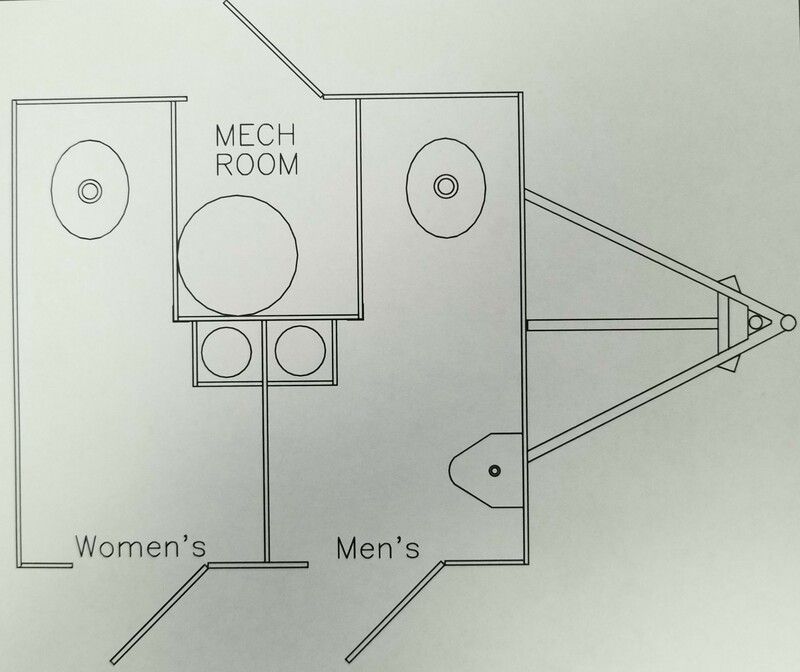 Simply back the trailer into place, level it, lower the stabilizing jacks, fold out the handrails, lower the fold out one-piece stairs, and connect the trailer to a power source and you are ready to go.